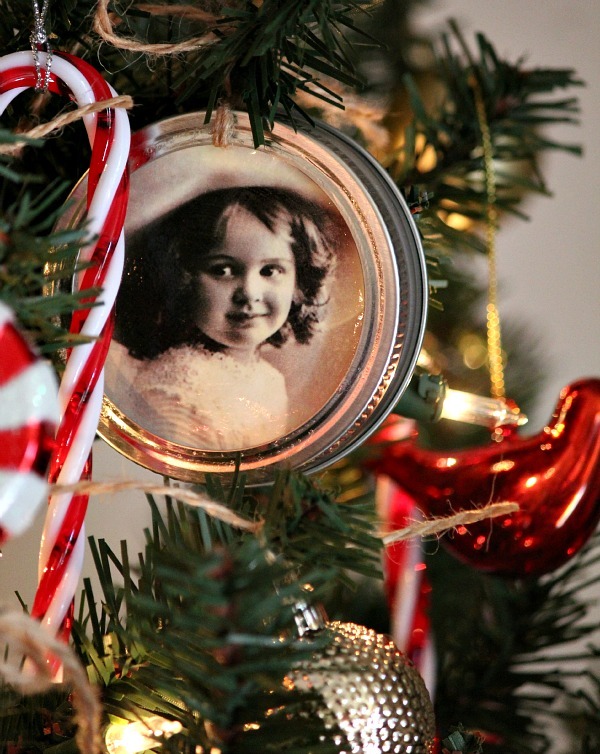 I took some close-up photos of my “vintage children” I printed free off the internet and turned into mason jar lid ornaments for my Christmas tree. All I had to buy were the mason jar lids and bands. Which you can buy separate or as a set at places like Walmart. Aren’t their cherubic little faces adorable? Not all are children. But they’re all vintage images. And the best part is they were free to print off! 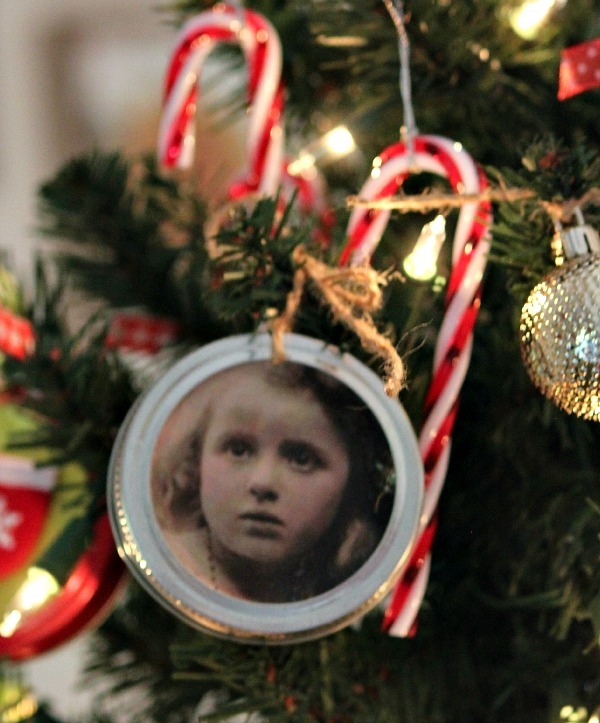 And if you’re wondering about the ribbons and jute, I typically tie my ornaments to the tree. This way they don’t get knocked off and broken. This was my vintage-themed tree. I also have the white one in the bedroom I showed you yesterday, and the little red one sitting on the white trunk. I like little trees because I can handle them better and they don’t take up as much storage space. 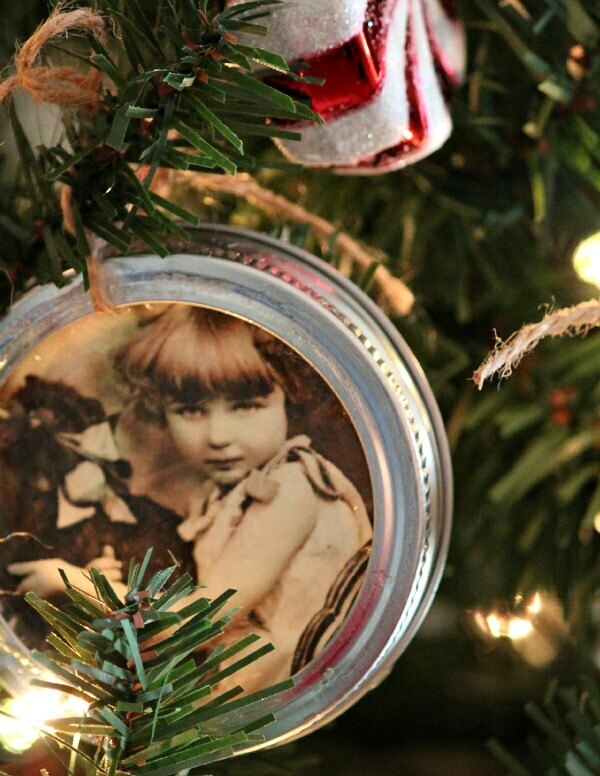 What a great idea to place the vintage photos on the tree…and love those wonderful ball jar lid ornaments! !…Merry Christmas! I love this idea and I love your little trees. So pretty. How sweet Brenda! I could fill a whole tree with all the pics of my girls. 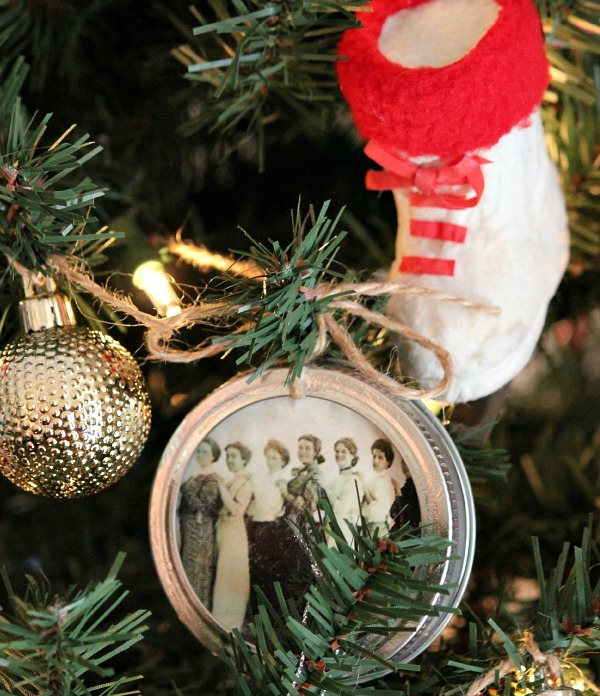 Your mason jar lid ornaments are adorable!! I love that idea, Brenda. So adorable – your whole place is just charming! 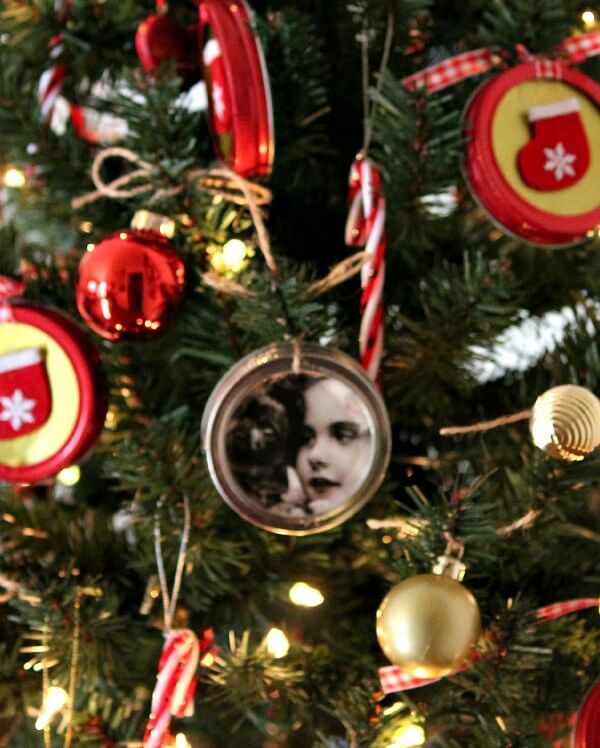 I love these ornaments! I really like the fact that they are easy to make! Hi Brenda! Oh, your little tree ornaments are so sweet. That last little girl reminds me of Anne Frank! Have a good week and hope little Abi is doing well. Hi Brenda, I really like the special tree ornaments you made. They are precious. Pray Abi is better soon. Such a cute idea for a tree! Love the vintage images! 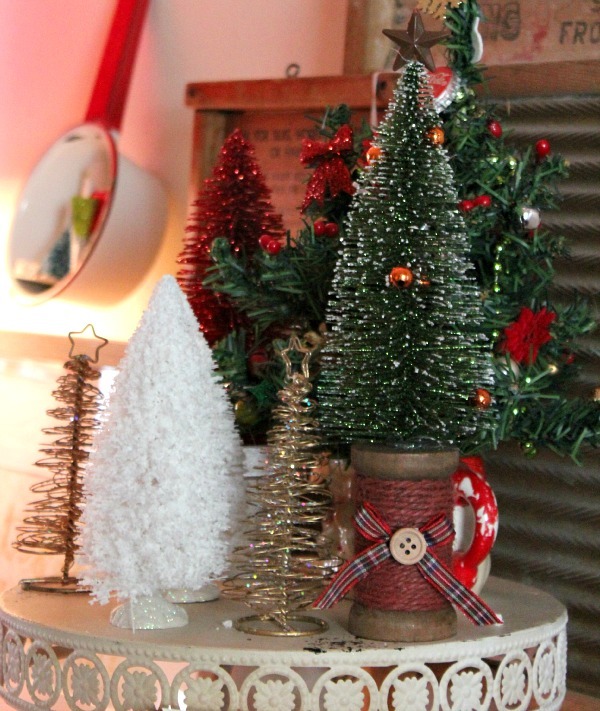 Love the ornaments and little trees. Hope Abi is better.